A PIN number enables you to access your patron record, online resources from home, and our eCollection. 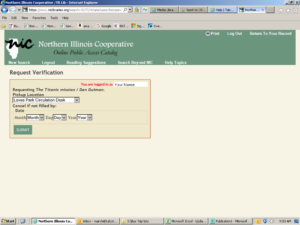 You may create your own number using NIC, the library’s online catalog. 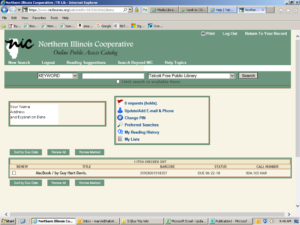 There are many ways to search NIC, the library’s catalog. Each of the help pages linked below will give you tips on searching for specific kinds of items. 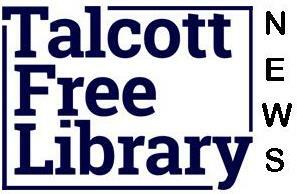 Click here to access to Talcott Library’s eBook, eAudio Book, and streaming video collection. You can access Omnilibraries.org 24 hours a day, seven days a week. To access/download these materials, you are required to sign in with your Talcott Library Card and PIN number. To start your Account, click Sign In or the Account Icon, and follow the directions. eBooks and eAudio Books content can be downloaded to many devices. Click here to see a list of portable media players that work with OMNI Libraries. Follow the instructions to enter your name, library barcode number and PIN (to create a PIN, simply enter what you would like it to be) and then click “Submit”. First time users will then be prompted to confirm their PIN by re-entering it. To renew items, simply click the check box to the left of the title(s) that you wish to renew and then click the green “Renew Selected” button. The screen will then refresh. 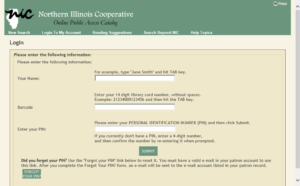 Be sure to check that your item(s) were renewed and note the new due date. You can place holds on materials 24 hours a day 7 days a week through our shared online catalog, NIC. After performing a search, click on the “Request It” button to place a hold. The first drop down specifies where you would like to pick up the item. You can choose a different library in our system if that is more convenient for you. You do not need to specify a “Cancel” date unless you don’t want to wait past a certain date. And be sure to click the “Submit” button! A library staff member will call you when the item is available for you to pick up.